Online business schools are the way to go for individuals interested in taking business courses. The field of business studies is very broad. Students who join business schools learn a lot in various business related areas such as finance, management, information technology, accounting and human resource management. Business schools provide different levels of education such as associate, bachelor’s, master’s and doctorate degrees, graduate certificates, post-graduate certificates and non-degree programs. Even though certificate programs take less time to complete, the credits earned may transfer to a graduate program should one decide to pursue a masters or doctorate degree. You can research a business school or program before joining to find out how it ranks. The University of Florida is a regionally accredited college and one of the best affordable online business schools. Its accreditation is by the Southern Association of Colleges and Schools Commission on Colleges (SACSCOC). Students who wish to study online may enroll for the Bachelor of Science in Business Administration – General Business Major. One is required to complete 120 credits before they can earn their degree. These credits consist of lower and upper division requirements as well as university degree requirements. Students transferring to the program only take the upper division courses. The curriculum covered at the school entails financial accounting, information systems, macroeconomics, business finance, business law, managerial strategy and decision making, real estate analysis, effective career management in business, principles of entrepreneurship, retailing systems and management, writing and speaking in business and computing in business. Students who’ve successfully enrolled into the online format will have access to lectures any time – day or night. They can actively interact with their lecturers, academic advisors and teaching assistants through chat rooms, discussion boards or emails. This degree program is developed for Associate of Arts degree holders, transfer students and freshmen. Transfer students must have completed the 7 required prerequisite business courses and attained at least a 2.5 GPA. The University of North Carolina is undoubtedly one of the best affordable online business schools in the country. The university through the Kenan Flagler Business School offers Master of Business Administration degree program that targets individuals with excellent leadership abilities, academic backgrounds and professional experience. The curriculum entails Core Courses such as business communication, economics, management and leadership skills, analytical tools, introductory finance and marketing strategy, development and analysis; MBA Electives including data analytics, business innovation and technology management, corporate finance, global marketing and global supply chain and finally Cross-University Courses. Students may choose a concentration in Investment Management, Global Supply Chain Management, Corporate Finance, Entrepreneurship, Marketing, Sustainable Enterprise and Management Consulting. Students who enroll for the MBA learn innovative and strategic ways they can successfully lead business organizations and network with established business leaders. The mission of the school is to produce well-connected and well-rounded business leaders. The faculty who teach online classes are accomplished business leaders, researchers and scholars. The Kenan Flagler Business School is accredited by the Association to Advance Collegiate Schools of Business (AACSB) International. University of North Carolina is accredited by the Southern Association of Colleges and Schools Commission on Colleges (SACSCOC). 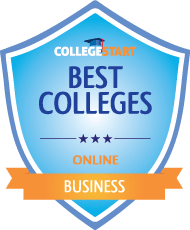 The Florida State University makes the list of the best affordable online business schools. Its business school is accredited by the Association to Advance Collegiate Schools of Business (AACSB). There are various master’s degree programs offered under FSU’s School of Business. These are Business Administration, Business Administration with a major in Hospitality and Tourism Management, Management Information Systems and Risk Management & Insurance. The MBA curriculum covers operations management, legal and ethical business environment, organizational behavior, financial reporting and managerial control, strategy and business policy, IT management and business conditions analysis. The online MBA in Hospitality and Tourism Management is developed for professionals in the hospitality industry and international students who seek exposure into the tourism and hospitality business. The MS in Management Information Systems comprises of eleven 3-hour courses. Students are taught business intelligence, social and organizational issues facing information systems, knowledge management, technology management and project management. The MS in Risk Management & Insurance prepares students with critical thinking skills that will help them analyze global, financial and legal issues in the insurance industry. Individuals seeking admission should submit completed applications with official transcripts from colleges or universities attended and letters of recommendation. The University of South Florida offers affordable online education in business courses. Through Muma College of Business, the university offers master’s in Management Information Systems with a focus on Business Intelligence, Entrepreneurship in Applied Technologies and Master of Business Administration with a concentration in Sport business. The MS in Management Information Systems prepares students with information technology and management expertise necessary to run software development companies, management consultancy and MIS firms. The curriculum for the MS Entrepreneurship in Applied Technologies combines courses on leadership, venture creation and financing, business stewardship, green innovation, creativity and global sustainability. The MBA in Sports Business is suitable for individuals who wish to perfect their skills in the industry and further advance their careers. The program covers entertainment and sport business fundamentals with topics on management, economics, marketing, finance and accounting. Further, individuals may enroll for a Graduate Certificate in Business Foundations (CBF) which prepares students with market orientation and decision-making skills that will help them bring change in their place of work. The business programs are accredited by the Association to Advance Collegiate Schools of Business (AACSB) International. University of South Florida is accredited by the Commission on Colleges of the Southern Association of Colleges and Schools (COC-SACS). Appalachian State University is an affordable online business school where one can complete their bachelor’s degree in Business Administration with a management major. The completion program entails upper-division coursework which takes 52 semester hours to finish. The program courses cover topics in economic strategies, production operations management, computer information systems and marketing. The BSBA management course has emphasis on business ethics, leadership, human resource management, strategic management, entrepreneurship and international management. Students learn leadership and managerial skills that will promote effectiveness in the organization, communication skills and organizational behavior. Applicants seeking enrollment into the program must have completed at least 70 transfer hours. They are expected to submit completed applications alongside official transcripts from institutions they’ve previously attended. The program is offered in full-time and part-time formats. Students who’ve enrolled into the full-time format can take up to four courses per semester. It normally takes 4 semesters – equivalent to 2 years – to complete. Part-time students on the other hand can only take 2 courses per semester and complete the program after nine semesters. Appalachian State University is accredited by the Commission on Colleges of the Southern Association of Colleges and Schools (COCSACS).